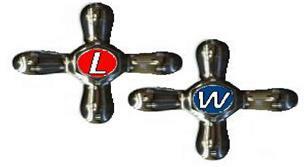 Laurie Watson Plumbing & Heating - Bathrooms, Plumber based in Warfield, Berkshire. I have joined Checkatrade to be able to give my customers past, present and future an informed choice from my recommendations that demonstrate over 12 years’ experience in the bathroom industry. I pride myself in offering all my customers a prompt, efficient service and I'm always conscious of my customer’s needs. I am also pleased to offer free estimates, offer a no call out fee policy & fully guarantee all of my work.